Histidinol dehydrogenase (HDH, EC 1.1.1.23) catalyzes the oxidation of histidinol to histidine, using two moles of NAD. The reaction is the final step in the biosynthesis of histidine in bacteria, plants, and fungi. The enzyme is of particular interest in what it can tell us about dehydrogenase action: the reaction contains both alcohol and aldehyde dehydrogenase steps, apparently occurring at a single active site. 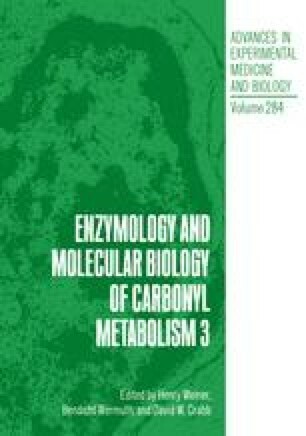 Two other enzymes, UDP-glucose dehydrogenase (UDPGDH, EC 1.1.1.22) and hydroxymethyl glutaryl CoA reductase (HMGR, EC 1.1.1.34) catalyze conceptually similar 4-electron oxidations. Although the latter two have important roles in health and disease, for the enzymologist HDH offers the advantage of a long and interesting genetic history, and is particularly well suited to molecular approaches.